The Wii has been fairly bone dry for the last year and a half. Which is understandable because most developers have switched over to the dev kits for either the Wii U or the kits for the PS3/Xbox 360. However, the Wii has some games that received European localization and don't need any additional dialog or voice work for U.S.A. release. This has happened for both Xenoblade Chronicles and the newly released The Last Story. So it doesn't really need to be said, but this happens to be a great time for those of us who call ourselves RPG fans. 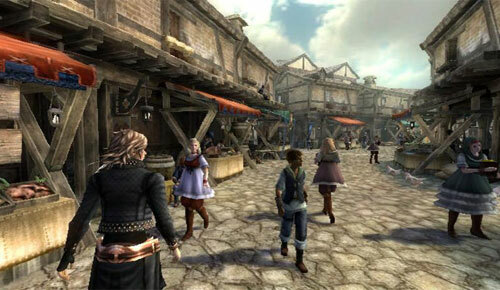 The Last Story was developed by the legendary creator Hironobu Sakaguchi (Final Fantasy) and his team at Mistwalker. Roughly two hours into the game and I'm impressed with the battle system that has been brought out. First things first, there are six characters and all six fight in battle. I'm very impressed that Mistwalker addressed the timeless problem with this type of rpg. I've always asked why I have more than three playable characters if I can't use them all in battle? 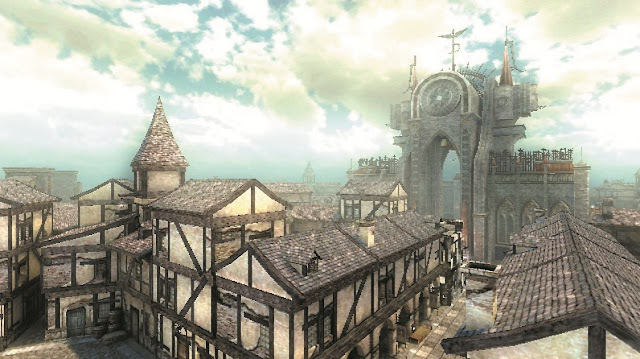 In The Last Story I've found several features that keep the action from getting stale. Zael is the main character and he can weld two weapons (right now he has a sword and a crossbow), but due to the nature of his weapons he can't use them at the same time. I'm still figuring everything out, but I've found that I can issue commands to my party members, develop a strategy before and during battle, I can draw enemies attention and countless other things that I haven't explored in great detail yet. Needless to say, this is not the typical JRPG. My biggest draw to the game is the execution, bar none. Mistwalker and AQ Interactive pulled off a very impressive battle system that mostly transitions over to the normal traveling around towns and stuff of that nature. Everything appears to be massively engrossing at this point in the game, however I'm expecting some of it to either get old or repetitive at some point. Unless The Last Story keeps dropping surprises on me. As of now I'm only disappointed that The Last Story is a Wii exclusive. Graphically I'm not impressed with the game seeing as it barely fits the bill as a mid-gen PS2 era game. I swear Final Fantasy X (released in 2001) looks better than this game does. So it was jarring at first, but I'm not just a graphics guy. I'm able to look passed the bad graphics and see what the game is really all about; the gameplay, and that is not an area that was compromised by the system selection. I just wish this was at least on the PS3. That being said I happy with my purchase if only for the execution of the game. The Last Story Xseeds (most people won't notice what I did there) in the one aspect that is most important in a game, being a game that is enjoyable.